Many universities subscribe to Springer; hence, eBook is freeliy available to students, including for UNCG students. T. Hastie, R. Tibshirani, and J. Friedman. The Elements of Statistical Learning. New York: Springer, 2009. 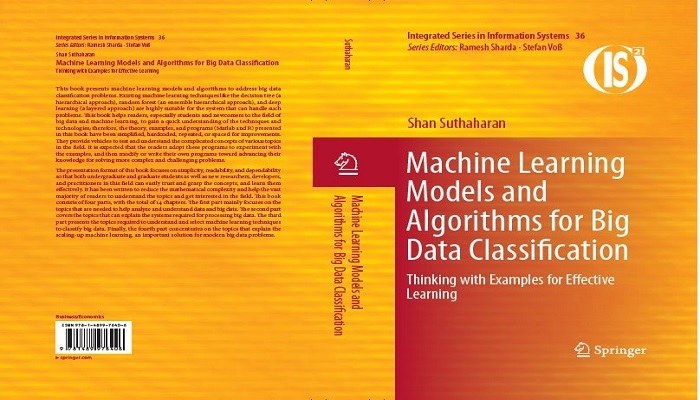 S. Suthaharan, ``Big data classification: Problems and challenges in network intrusion prediction with machine learning.'' ACM SIGMETRICS Performance Evaluation Review, vol. 41, no. 4, pp. 70-73, 2014.